For many in our society, alcohol is something that we use when we socialize, to relax, to enjoy with food and for many to drown our sorrows when we experience negative life events. Many people drink alcohol and when done so in moderation, it has little to no impact on their lives. However, if you are reading this page it is likely that you are doing so because either yourself or someone you know has a problem with alcohol. 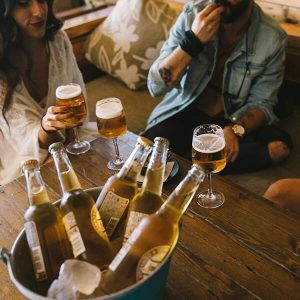 It is also likely that this is not the first time you have thought of this either, as alcohol is something so widely accepted in our society that it is difficult to acknowledge that you might have such a problem that you need to stop drinking, yet it is something you have often thought about before. So how do I know if I have a problem with alcohol addiction? You do not have to drink every day or drink first thing in the morning to be an alcoholic. You may be able to go for a few weeks without it. But is alcohol something you think about a lot? Do you really look forward to your weekends or create social events so that you can have a drink? Do you drink to get drunk? If alcohol is causing a problem in your life, be it in your relationships, with family, money problems, hangovers at work – you may have an alcohol problem. You need to recognise this and seek the right help. Here are some commonly asked questions which may help you decide whether you need help. Do you have a problem with alcohol addiction? If you or the person you are looking to help can answer YES to any of the following questions, it is DEFINITELY time for you to ask for help. Have you found that you were not able to stop drinking once you had started? Do you have blackouts? Do you wake up in the morning with that guilty feeling of not knowing what you said or did when you were drunk? Have you or somebody else been injured because of your drinking? Do you envy people who can just have a couple of drinks or drink without getting into trouble? Has your drinking caused trouble at home or at work in the past year? Have you missed days off work because of your drinking? Do you ever drink before going out or try to get ‘extra’ drinks when you are out because you can’t seem to get enough? Have you had to have a drink in the morning to make yourself feel better? Frequently telling yourself that you will ‘never drink again’ or promising yourself and others you will cut down your alcohol use. ‘Blacking out’ – not remembering what happened the night before and feeling guilty that you may have said or done something inappropriate. Uncharacteristic behaviours when intoxicated – getting aggressive, confrontational or inappropriate sexual conduct. Blaming other people and situations for your drinking – making excuses. Shaking – starting in the hands – the morning after you have had a lot to drink or if you do not have an alcoholic drink. Anxiety and Depression – Alcohol is a depressive substance and will only make worse any negative thoughts and emotions you have. Insomnia – Irregular sleeping patterns after a heavy drinking period. Imagine it has been a few hours or a day since your last alcoholic drink. If you experience any of these symptoms it is highly likely that you are alcohol dependent and MUST undergo medical detox before complications worsen and become irreparable. Auditory disturbances – harsher awareness of sounds around you, becoming frightened, hearing things that are not there. Visual Hallucinations – Light appearing to be too bright, seeing things that are not there. Anxiety and Agitation – becoming fidgety and restless – panic attacks. Poor Orientation – Not knowing what time, day or date it is. But I am not dependent on alcohol, why do I need help? Alcohol abuse takes many forms. Binge drinking is one of the most serious threats to people in terms of the impact on their physical wellbeing and society. Many people binge drink every weekend. Many people can go weeks and months without drinking, but something will happen in their lives and suddenly they will start to drink again. Many of the people that Rehab Healthcare has referred to treatment have been such people, give us a call. Did you know that the recommended daily consumption of alcohol for women is 2-3 units and for men 3-4 units? That means for men, no more than 1 pint of beer and for women no more than a large glass of wine. You are also recommended to have at least 2 alcohol-free days per week. 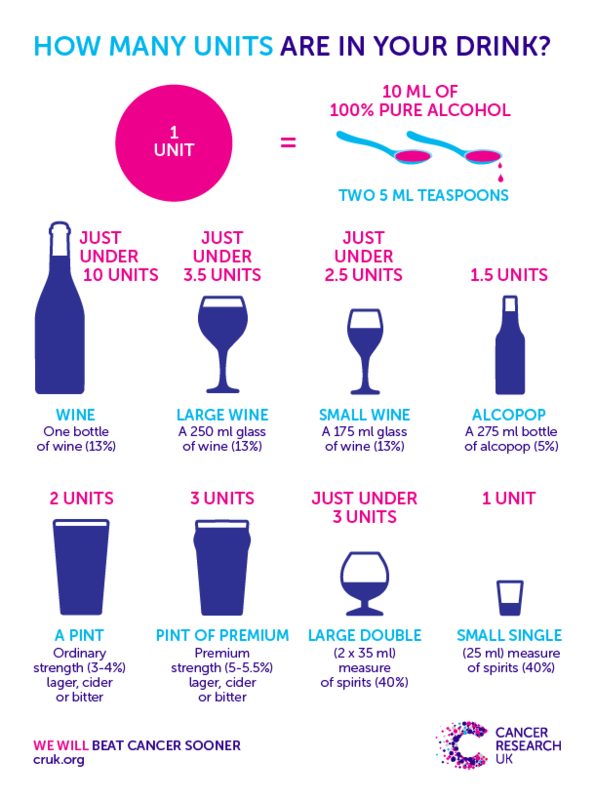 Do you drink more than these recommended guidelines? The health risks associated with excessive alcohol use are devastating and could be life-changing. Physical dependency always starts with an increased tolerance to alcohol – your body can tolerate more alcohol, the more often you do it. If you or someone you know drinks every day, you do not need to drink large quantities of alcohol for your body to become dependent on it. Which means if you try to stop taking alcohol without medical intervention it can lead to serious withdrawal symptoms which can be FATAL. That is why it is so important to get the right treatment. If you are alcohol-dependent you will need an alcohol detox to safely get off drinking. Alcohol dependency is a medical condition which can be very easy to treat. However, the problem that faces many people with alcohol misuse issues, is the mental addiction to it. Alcohol use, especially in the UK, is so widely revered in our society that it almost seems as if to not drink, you are not normal. The problem for the alcoholic is that they simply cannot drink socially. They cannot just have a glass of wine with dinner, or have a beer after a hard day’s work. This drink always turns into one more, then another, until that person becomes completely drunk. Does this sound like you or the loved one for whom you are doing this research? Don’t worry, you are not alone. Many people have lived in this cycle for most of their adult life, so to break it, takes time. 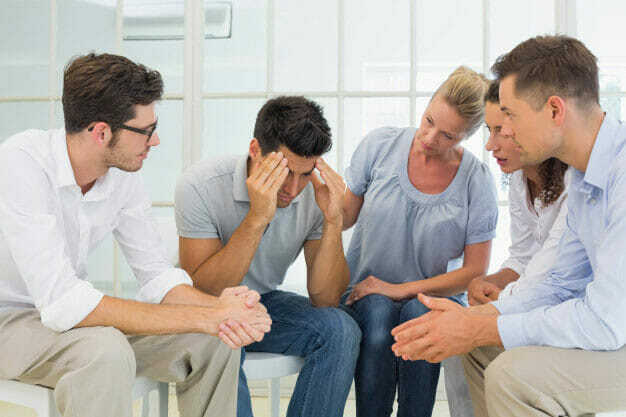 This is why intensive residential rehabilitation is required to overcome the psychological side of the alcohol addiction so that you can live a life that is happy and alcohol-free. At the end of the day, only you can decide whether you have a problem with alcohol or not. From our personal and professional experience, we believe that those that do have a problem know deep down the answer to this potentially life-changing question. The problem with alcohol is that it is so widely accepted in our society, that we fear to stop drinking because we will have to be ‘different’ to everyone else. We won’t be able to ‘enjoy’ time with friends whilst they are drinking. Be true to yourself and your life can be a whole lot better, you just have to trust the process. Rehab Healthcare can offer you a wide range of treatment options, tailored to your specific needs. Everyone is different and your needs and wishes will be different to the next person. Give us a call and one of our trained counsellors will advise you on a range of options. Our advisors have been through this themselves, they know what it is like to be in your shoes, so your call will be treated with empathy and in the strictest of confidence. Call REHAB HC now for immediate help specific to you!.